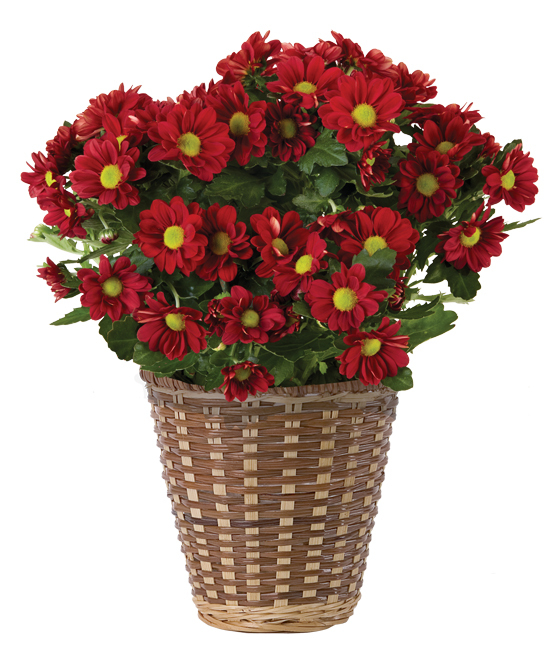 If you love the natural charm of fall gardens in bloom, you will be delighted to send this joyful Autumn Daisy Plant. 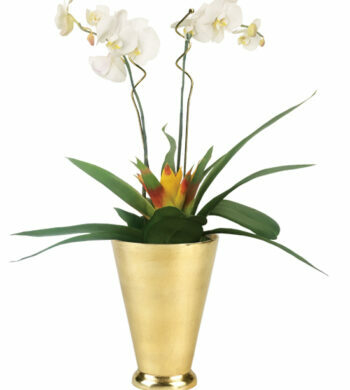 It arrives bursting with blooms and buds that are ready to unfold into bright and bouncy blooms. 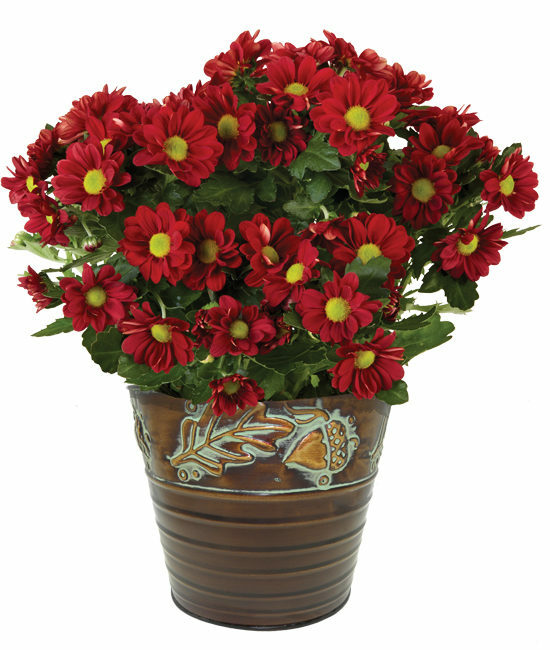 The daisy’s multi-petaled blossom and red color are enhanced by the seasonal embossed burnt orange cachepot. A great choice for birthdays, anniversaries, and new arrivals. Your plant needs bright light to bloom indoors but please avoid full, direct sun. Water when the soil is dry to the touch. Please do not allow the plant to stand in water.